share your work. get donations. 15 years after the founding of Napster, we’re still not sure how we should distribute and consume creative content on the web. At crowdshare, we think we've finally found a solution. We think people are willing to support the things they love, and we’re going to let them. 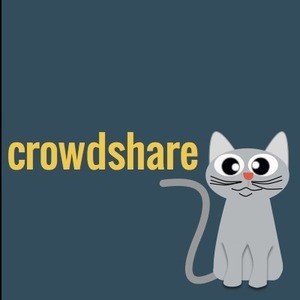 crowdshare is an open community where users can share their digital creations and receive feedback, tips and donations from other users. Users are able to consume (download, watch, listen) and share content freely — without cost of membership or use. Our larger vision for what crowdshare can be is a digital market for the 21st century. When we say digital we mean — not eBay or Etsy — but a market for digital content. Of course, the major distinction, outside of us not distributing anything tangible, is that we offer content for free and are purely donation based.